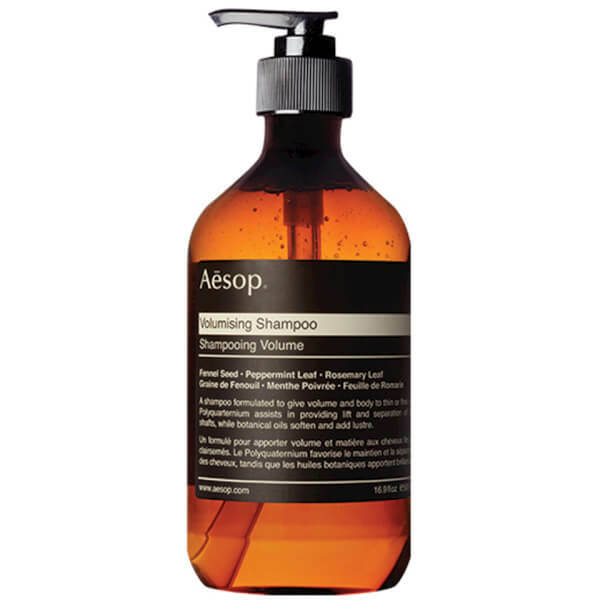 The Aesop Volumising Shampoo comes in a 500ml pump bottle and has been designed to give a lift to limp hair. The volumising shampoo will deal with hair that looks and feels lifeless. The formula has been specially designed to be lightweight and contains polyquarternium cellulose polymers, an ingredient that forms a coating on the hair close to the roots and then expands. This helps to separate out the hair shafts and creates that lift that you are looking for. 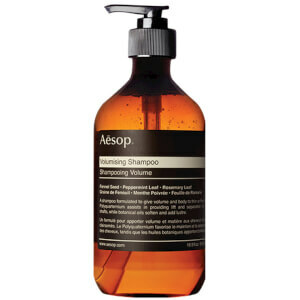 The Aesop volumising shampoo is best used in conjunction with other products from the Aesop hair care range.